A beautifully crafted set of wooden t-lite candle holders is here to light up your home and look extremely elegant at the same time. If you’re into rustic and modern look, this wooden t-lite candle holder set is definitely going to be your thing. 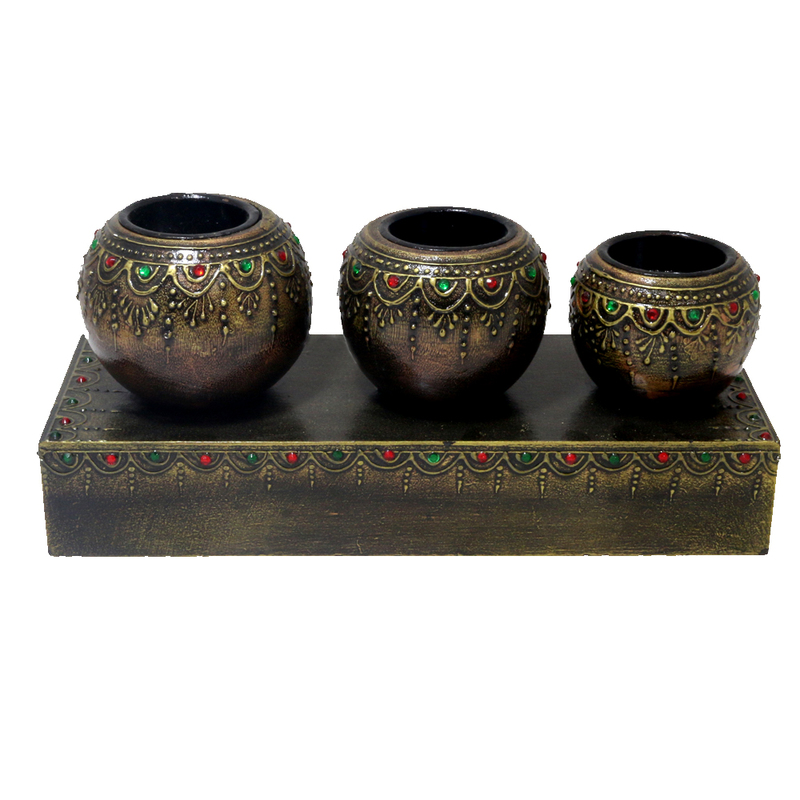 They have finely carved designs Read More..all over and take up very less space but can surely light up with a bold look when in use. Show Less..